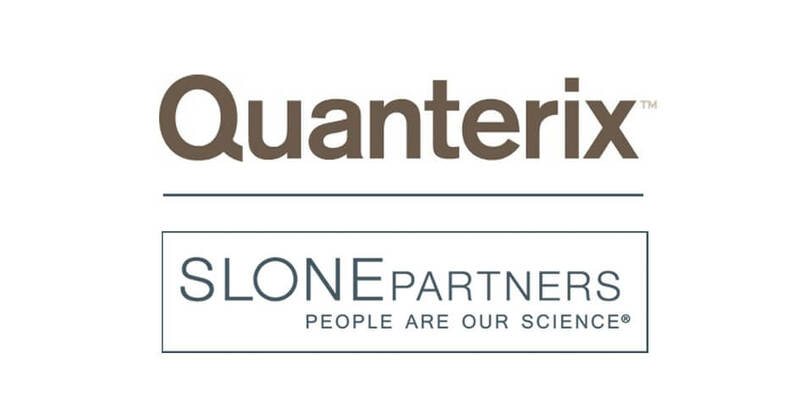 BOSTON – April 12, 2019 – Slone Partners, North America’s leading executive search firm for life sciences and diagnostics companies, announces the placement of Amol Chaubal at Quanterix Corporation as Chief Financial Officer. Responsible for the strategic and tactical financial health of Quanterix as the precision medicine company executes rapid scaling, Mr. Chaubal will report to CEO, President and Chairman Kevin Hrusovsky at the company’s headquarters in Lexington, Massachusetts. Through differentiated proprietary technologies, Quanterix (NASDAQ: QTRX) digitizes biomarker analysis to advance the science of precision health, envisioning the transformation of medicine from reactive “sick care” to the ability to prevent diseases, provide earlier diagnosis, and develop nextgen treatments. The company’s digital health solution, Simoa®, is changing the way in which the biology of health and disease is studied by giving researchers the ability to closely examine critical biomarkers non-invasively in numerous therapeutic areas, including oncology, neurology, cardiology, inflammation and infectious disease. Prior to joining Quanterix, Mr. Chaubal served as CFO of Global Operations at Smith & Nephew. He also held the role of Corporate Vice President and Head of Finance for Parexel’s CRS business and held various roles at Novartis, including CFO North America Vaccines & Diagnostics, as well as international roles across Switzerland, Canada, and the United States. Mr. Chaubal earned an MBA from INSEAD, and a Master of Chemical Engineering degree from the Indian Institute of Technology. Based in Boston’s scientific healthcare corridor, Quanterix currently has 200 employees. Since its NASDAQ debut in 2017, the company acquired a medical technology company and is outperforming expectations with over 50% revenue growth. “Our growth, combined with the magnitude of the opportunity we have to transform healthcare with digital biomarkers, requires us to scale our executive team accordingly with top talent. Amol’s deep experience will be invaluable,” says Kevin Hrusovsky, Chief Executive Officer, President and Chairman of Quanterix. Quanterix is a company that’s digitizing biomarker analysis with the goal of advancing the science of precision health. The company’s digital health solution, Simoa®, has the potential to change the way in which healthcare is provided today by giving researchers the ability to closely examine the continuum from health to disease. Quanterix’ technology is designed to enable much earlier disease detection, better prognoses and enhanced treatment methods to improve the quality of life and longevity of the population for generations to come. The technology is currently being used for research applications in several therapeutic areas, including oncology, neurology, cardiology, inflammation and infectious disease. The company was established in 2007 and is located in Lexington, Massachusetts. For additional Information, please visit: https://www.quanterix.com.